In exercise of the powers conferred by clause (1) of article 222 of the Constitution of India, the President, after consultation with the Chief Justice of India, is pleased to transfer Shri Justice Tinlianthang Vaiphei, Judge of the Gauhati High Court, as a Judge of the Tripura High Court and to direct him to assume charge of his office in the Tripura High Court on or before 23rd May, 2016. In exercise of the powers conferred by clause (1) of article 222 of the Constitution of India the President, after consultation with the Chief Justice of India is pleased to transfer Shri Justice Ved Prakash Vaish, Judge of the Delhi High Court, as a Judge of the Meghalaya High Court and to direct him to assume charge of his office in the Meghalaya High Court on or before 23rd May, 2016. 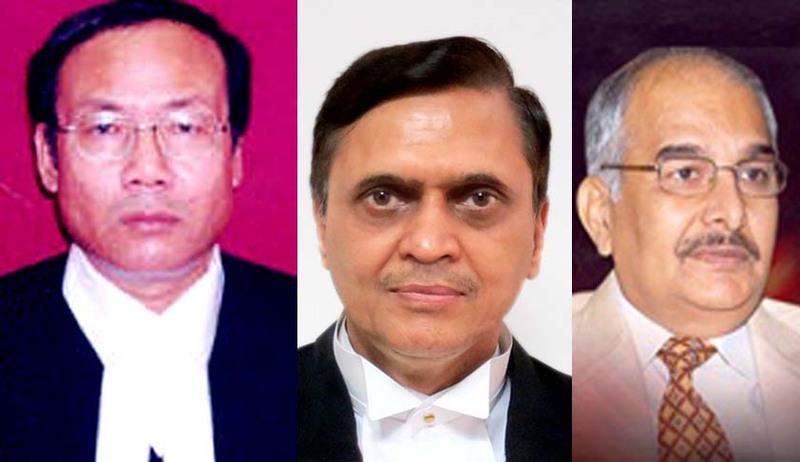 In exercise of the powers conferred by clause (1) of article 222 of the Constitution of India, the President, after consultation with the Chief Justice of India, is pleased to transfer Shri Justice Satish Kumar Agnihotri, Judge of the Madras High Court, as a Judge of the Sikkim High Court and to direct him to assume charge of his office in the Sikkim High Court on or before 23rd May, 2016.